Robert Burns was a Scottish ploughman-turned-poet. He was born on the 25th January 1759 in the “auld cley biggin”, a thatched single-storey, 3 room home. 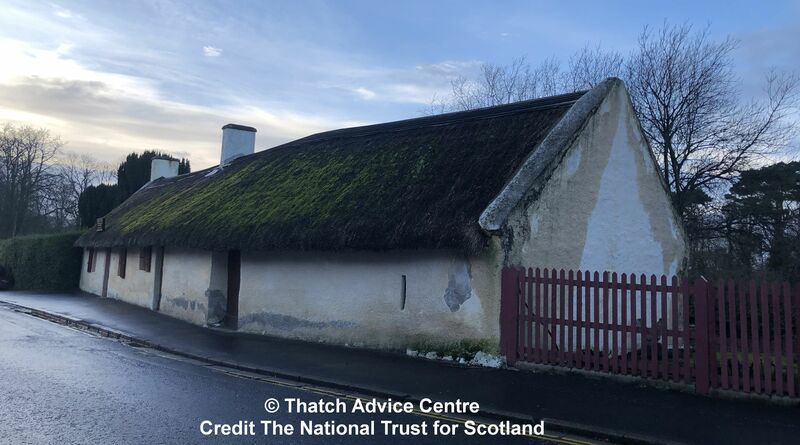 Now known simply as ‘Burns Cottage’, this was built by his father in 1757 in Alloway, Robert lived in the Ayrshire cottage for the first seven years of his life, before moving with his family to a nearby farm. Five years after his death in 1796, aged just 37, nine of Burns’ closest friends held a dinner at the cottage in his honour. This dinner became the origin of the traditional Burns Night Supper, now celebrated by annually around the world. The cottage continued for some years as a private residence and as an alehouse. It was restored to its original condition in 1881 by the Alloway Burns Monument Trust. Now designated the Robert Burns Birthplace Museum, the Burns Cottage has been looked after by the National Trust for Scotland since 2008. For the 210th anniversary of Burns’ birth, in 2019, the NTS launched their Burns Cottage Appeal. This campaign aims to raise £100,000 for vital repairs. Unfortunately the thatched roof has degraded over the years due to weather. According to Caroline Smith, Operations Manager of the museum, the back has ‘developed significant tears and has worn away’. The front has suffered moss growth and rainwater has collected, causing the thatch to rot underneath. Furthermore, there is now a crack in the north-west gable meaning the building is no longer weather proof. The internal plaster-work is also becoming damaged. 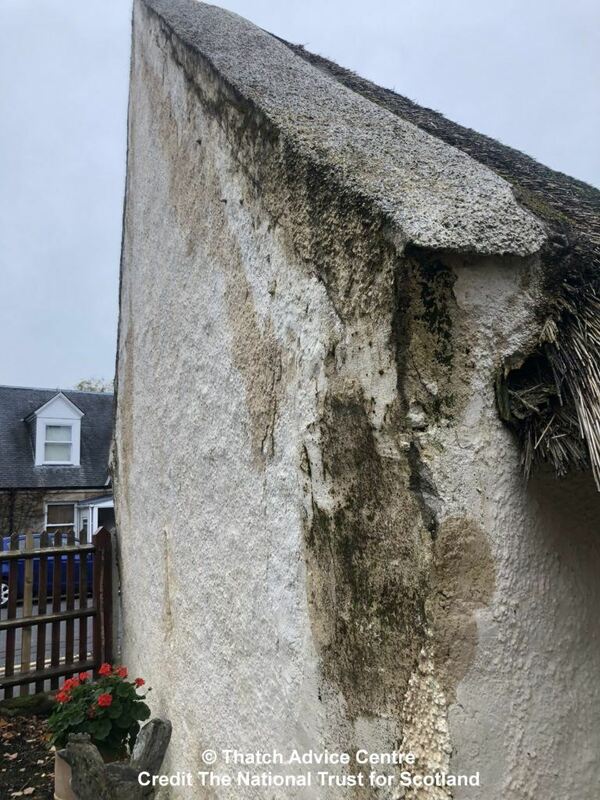 Can you help the National Trust for Scotland’s Burns Cottage Appeal and enable them to undertake essential repairs to this historic thatched building, and protect it for generations to come? 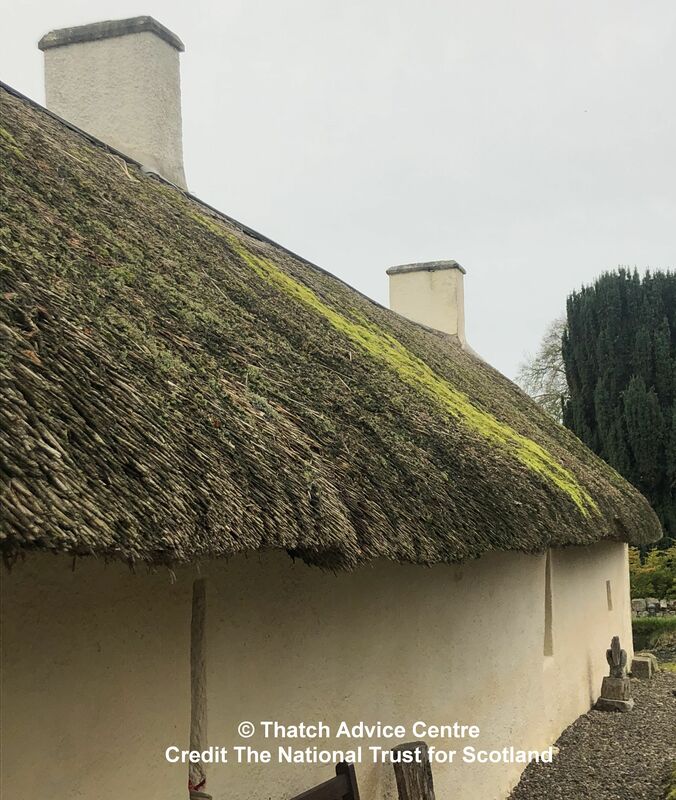 With the money raised, the NTS will will replace the thatch to make the roof waterproof. They will also prop up the end wall in line with the rest of the building, fill in cracks and apply limewash to complete the weatherproofing. Thank you all in anticipation and we will keep you informed of progress.